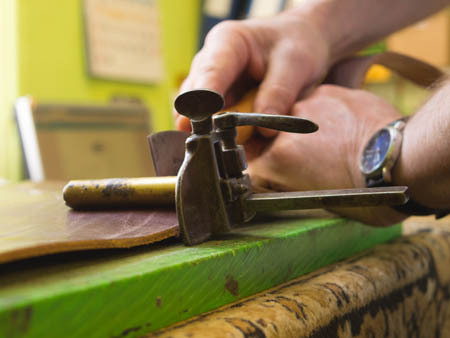 Saddle Fitting: We have been fitting saddles now for over 30 years. Upon your initial enquiry we can talk you through your requirements and you can then decide whether you come to us and make use of our arena, or we can come to you. Our staff have been trained and are qualified in Hat & Body Protector Fitting under the scheme run by BETA. Please note that fittings are by appointment only: please use our contact form to make an enquiry. Riding Hat and Body Protector Fitting: The riding hat is an important piece of safety equipment. Everyone's head is a different shape and size. We can measure and help you select the best fitting and the most comfortable riding hat suitable for you personally. The same applies to Body Protectors which are now necessary requirement should you wish to compete. Horse & Rider: Everything you could possibly need for yourself or your horse is somewhere in our Aladdin's Cave of stock, from Fly Repellents; Supplements; shampoos to grooming kit. 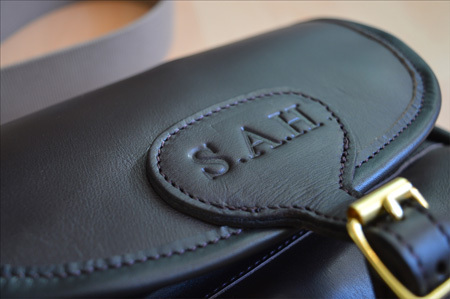 Acorn Saddlery has now progressed in to making its own range of hunting and shooting accessories, supplying all parts of the world with high quality leather work. In addition, commissions are taken for 'out of the ordinary' leatherwork; some examples are a leather outfit for a young man playing the part of a 'Gladiator'; a leather cover for a Japanese saber and the refurbishment to bellows – to name but a few. Riding boots: Brown tops can be put on to boots for hunt staff; loops sewn to the back of boots for garter straps. Sometimes our shape changes... we are able to then alter your boots to either a larger or smaller size. New zips can be inserted in to boots. 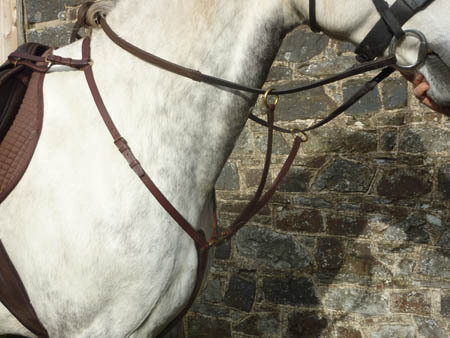 Horses: Alterations to bridlework and tack also undertaken, e.g. Gag cheeks in either nylon or leather can be attached to the bit in our workshop; general repairs to tack et cetera. Making up of tack/saddlery to your own requirements. Showing: Throughout the Showing season we are commissioned to make Bull Halters and In-Hand bridlework which are all made in our workshop, being made from the finest hides that are selected in person and are finely stitched to make that all important impression in the Show Ring up to County standard. Horse Rugs: We offer a cleaning and repair service to horse rugs. Extensive range of new rugs also stocked: cooler; stable; travel; turnout etc. Dog Collars and Leads: Dog collar and lead sets for your special friend can be tailored to your requirements and made from the best quality hides, with studs if you wish! Choice of black or numerous shades of brown in bridle leather. Just give us a call and talk through your requirements, or use the contact form. Motor bikers: New zips to leather jackets or trousers. Repairs are undertaken on the premises for biker outfits should they become damaged. Logos transferred from old biker 'gear' to new. These are a few examples of what we have 'cherry picked' to give you an idea of what we get up to in the workshop. 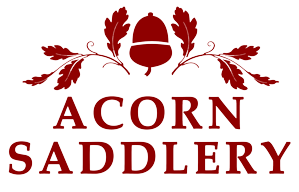 Please call if your requirements are not listed as we aim to please and attention to customer service is of paramount importance to us all at Acorn Saddlery.